Black Friday 2016 deals are now available from Microsoft with big discounts. 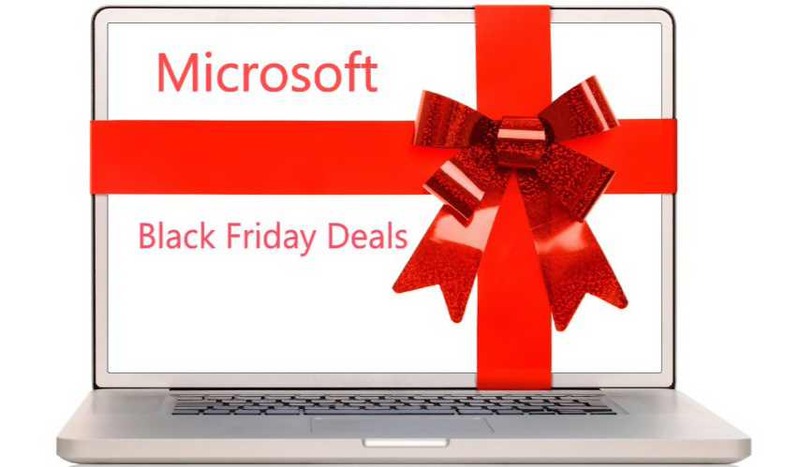 Every major retailer is offering a wide range of deals, and the Microsoft Store is no different. Check out the list of deals below. Surface Pro 4, Core i5, 8GB RAM, 256GB storage, bundled with black Type Cover at Microsoft Stores for $999 ($429.99 off). Surface Pro 4, Core i5, 128GB storage, for $799. Surface Book, Core i5, 128GB storage, for $1249. Surface Book, Core i5, dGPU, 256GB storage, for $1499 (normally $1899). Dell Inspiron 13 5378 Signature Edition 2 in 1 PC – Intel Core i5-7200U, 13.3-inch Full HD touchscreen, 8GB memory/1TB HDD, for $499 (normally $749.00). Dell Inspiron 15 i5559-3333SLV Signature Edition Laptop, 15.6-inch Full HD touchscreen, Intel Core i7, 8GB memory/1TB HDD, Intel RealSense 3D camera, for $549 ($300 off). Dell Inspiron 15 i7559-5012GRY Signature Edition Laptop, 15.6-inch 4K UHD touchscreen, Intel Core i7-6700HQ, 8GB memory/1TB SSHD, NVIDIA GeForce GTX 960M graphics – $799 ($300 off). HP Pavilion x360 Convertible 15-bk193ms Signature Edition 2 in 1 PC, 15.6-inch Full HD touchscreen, Intel Core i5-7200U, 8GB memory/1TB HDD – $529 ($200 off). Alienware 15 Touch Signature Edition Gaming Laptop, 15.6-inch 4K UHD touchscreen, Intel Core i7-6700HQ, 16GB memory/256GB SSD + 1TB HDD, NVIDIA GeForce GTX 970M graphics, Get 9 free PC game (over $200 value) – $1,497.00 ($1,002 off). HP Elite x3 Holiday Bundle, Unlocked HP Elite x3, HP Elite Desk Dock, HP Elite Lap Dock, HP Elite Case, HP Elite Screen Protector – $1,149 ($312 off). Buy Microsoft Lumia 950 XL Get a free Lumia 950 and Display Dock – at Black Friday 2016 deals for just $499. Microsoft Lumia 650 Dual SIM – Unlocked – at Black Friday 2016 deals for just $99 ($199 off).